You may have heard of The Old Stall Famous Hokkien Prawn Noodles 第四代福建虾面 as it has been in operation since 1943 where it was located along Hokkien Street. Today, it can be found in at least 2 hawker centres (i.e. 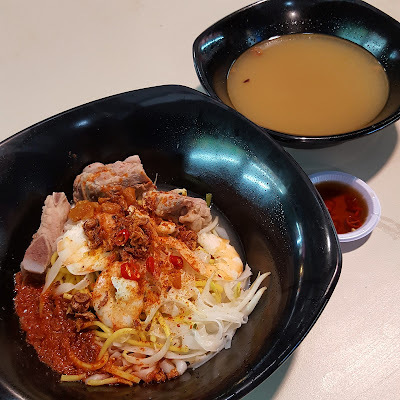 Hong Lim Food Centre and Alexandra Village Food Centre). 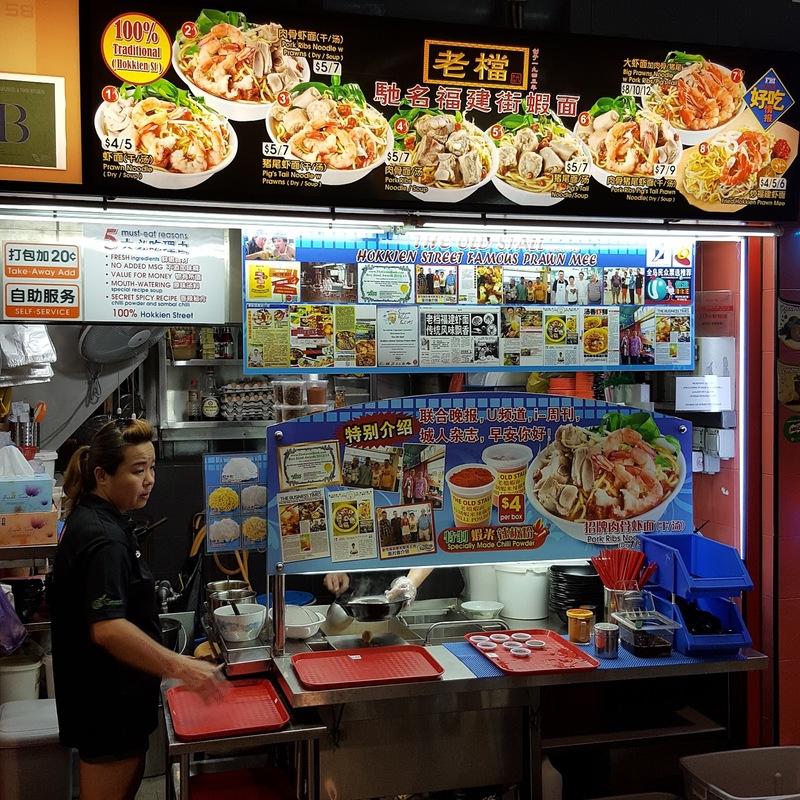 As the stall name suggests, it specialises in serving prawn noodles. 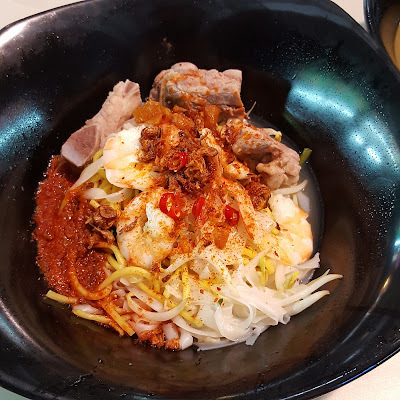 Pork Ribs Noodle with Prawns (dry with chilli) $5 served with kangkong, beansprouts, pork ribs, prawns and pork lard, was sprinkled with their popular chilli powder. The dish was ordinary with nothing much to shout about except for the chilli powder. The seasoning base for the noodles was disappointing. The soup which they claimed that no MSG was added was tasty and full of umami flavour. Their chilli powder was so popular because they fried their chilli powder with dried prawns (Hae Bee) which gave it a distinctive fragrance. They retail the chilli powder in small tubs at $4.